"Peter, he never makes the urban communities look like it's terrible. He always tell a story about how far we've come." In one bracing scene in “Magic City: Trials of a Native Son” (MTV/Gallery Books), a young Maurice Young — later to become the rapper Trick Daddy — takes a lead pipe to his middle school music teacher’s head: neither one was ready to hear the other. To Trick Daddy’s credit, he renders this tale without absolving himself of responsibility or painting himself as a cretin. As this generally humane memoir (written with Peter Bailey) demonstrates, little Maurice had few guideposts growing up in the Liberty City section of Miami, surrounded by poverty and drug dealing, with child abuse and police brutality not too far off in the distance. Notably, this book all but omits Trick Daddy’s later music career, instead telling a vivid story about Miami’s countercultural history through the lens of Maurice as a young criminal, documenting the bruises that over time make up a thug. 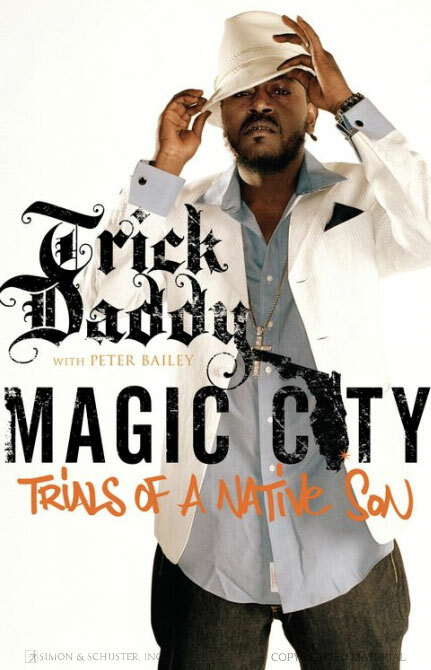 Trick Daddy and award-winning journalist and NBC NiteCap host Peter Bailey discuss working together on the rap legend's critically acclaimed memoir, an odyssey that's lasted three years which culminated into a indelible friendship.